I met Johnene a couple months ago when she was expecting her first baby. She was looking for a maternity photographer and I was looking to expand my portfolio. We met in Uptown Normal and were able to get a few shots of her beautiful bump with her fiancé, despite the horrible Spring weather. The weather threatened our family photos again this weekend when her fiancés family was visiting. Thankfully the rain held off and we were able to get some beautiful photos on Illinois State's Quad! Seriously how beautiful is this family?! My favorite so far is the photo with Redbird Arena in the background where Johnene's fiancé coached basketball! 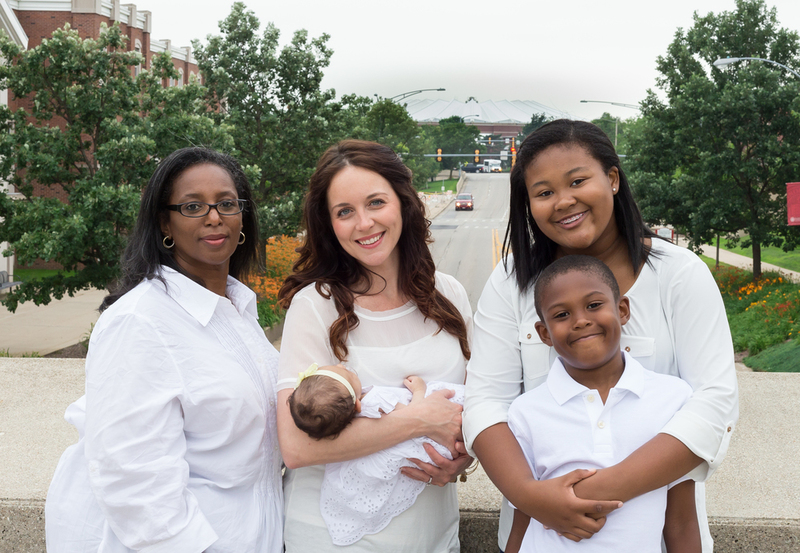 So glad to be able to photograph such a lovely family!